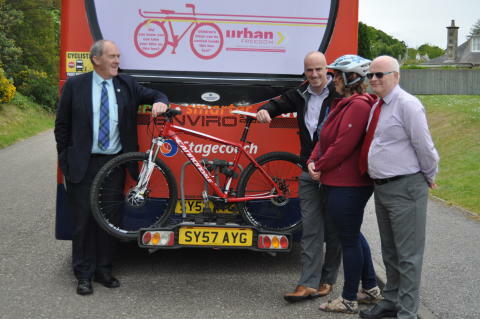 Bus passengers can now take their bike for a ride thanks to new services launched by Stagecoach, Hitrans and Moray Council yesterday. 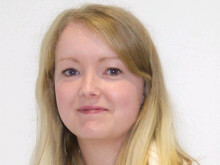 The initiative will see bike racks fitted to buses travelling between Elgin, Kinloss, Findhorn, Forres, Hopeman and Burghead, and local services to and from the new Forres health centre will increase to run every hour droping-off inside the health centre grounds. By the end of June 2015 a plasma real time screen will be displayed within the health centre advising times of buses serving Forres to all points. Real time displays will also be promoted at Findhorn and Kinloss, and three new passenger shelters are be installed in Kinloss village, one in Findhorn. Previously patients had a two-hour service that dropped off in the middle of Forres, a lengthy walk for some from the health centre. 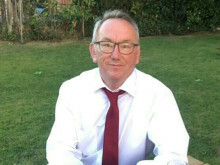 Cllr Alexander, who is also chair of the Forres Patient Participation Group, said: "I am delighted with this service improvement, in particular the buses to and from the health centre. This has been introduced in response to public demand, the council has listened to that and acted. This scheme appears to have been an abysmal failure. As a regular commuter on the route 31 bus between Elgin and Findhorn I have been very disappointed to see that the £200,000+ spent has been wasted. I did try to use the service with my bicycle, but all too often the buses on the route did not have the racks fitted and ended up having to argue with a driver so that I could return home with my bike actually on the bus instead. It is impossible to use the service as it is a lottery as to whether the bus will turn up with the racks fitted. Also the drivers seem to hate it if you turn up with a bike and some say they can't take it as they haven't been trained. It now appears that the racks have been removed from the busses completely. Has the 2 year scheme been abandoned after only a couple of months? All in all a shambles. I've used bus and coach services with my bike in Scotland since 1986, noting that the then SMT Conditions of Carriage permitted cycle carriage - generally on the rural services which used the ubiquitous Alexander Y and T type buses, that had space in the rear locker for up to 4 bikes. In 1996 I did a project with rear mounted racks and have also pressed for continued carriage of bikes on coach-operated services. Stagecoach are awake to this potential, especially where the passengers can get access to a direct and fast service along a main road route by cycling the little bit further, and also the market of passengers who cannot hold a driving licence (too young, too old, or with a condition the prohibits them from driving) In Moray and Highland the 10, 315, 305 and 19 have always been useful as coach-operated routes and I've reports of up to 10 bikes (20% of seats filled) going out from Elgin to Fochabers, as young riders head for Ben Aigan and the MTB trails. the 210 is also used by young BMX riders going to use the indoor park in Aberdeen. Racks on the back and trailers are a detail I normally advise against as an initial move, with a new bus policy that has made low floor ro-ro buses the only new purchase permitted since January 1999, and a big operator like Stagecoach now with an almost 100% low floor bus fleet, the option to take a bike inside the bus is faster and a low cost opportunity available from 100% of the fleet with minimal additional equipment (securing system and 'bash protection for interior trim (pedals/handlebars can mark the panels)). The Western Isles Council makes cycle carriage a default for all subsidised bus service contracts, and informal arrangements elsewhere offer a safer and less stressful ride back at night when your route might be an unlit rural road, and the weather a bit rough. In many cases the morning positioning trips - out from a main depot to the villages for commuter and school services, have near empty buses offering an easy early ride out for leisure cyclists, and likewise the late evening return after the last bus out to the villages. I've seen the empty buses coming back from Pitlochry and Aberfeldy, and the MTB trails at Laggan could possibly make a connection with the School Bus heading out from Aviemore in the morning - and coming back at teatime after taking the kids home. Parking the bike is another option, as is the hire of bikes, or even the hire of folding bikes as a connected service. It already works neatly for several Highland school pupils, who both save the Council money, and enjoy a more sociable trip to school by riding to the main road and getting the big bus with their friends rather than using a taxi from their actual home.